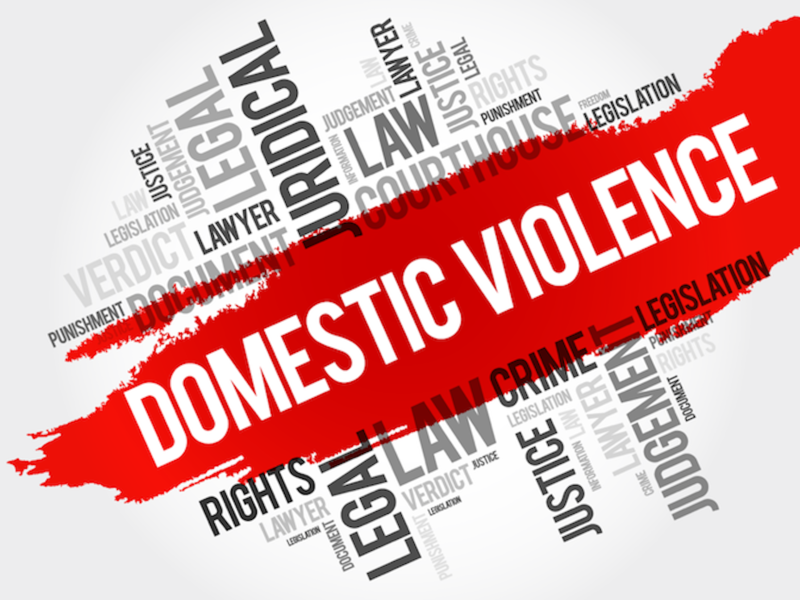 What is a domestic violence crime in Alabama? What makes a domestic violence crime different from other crimes in Alabama is the relationship between the victim and the person accused of committing the crime. If the victim and the person accused of committing the crime are in (or were in) what Alabama calls a domestic relationship, then the crime is called a "Domestic Violence Crime" and is treated differently than if the parties are not related. To give an example: if I walk into a bar and I see my ex-girlfriend and her present boy-friend and I push her present boyfriend off the bar stool because I want to annoy him I have committed the crime of "Harassment" but, if I push her off the bar stool because I want to annoy or her, the crime is now "Domestic Violence –Harassment". The differences that I had a domestic relationship with my ex-girlfriend and the crime now becomes a domestic violence crime. Typically, once crimes are defined as domestic violence crimes, punishments tend to be more severe. Alabama laws try to protect those people perceived as domestic violence victims. HOW DOES ALABAMA DEFINE A "DOMESTIC VIOLENCE VICTIM"? A person who is related to the person who has committed the crime by way of a legal or common-law marriage. A person who was previously married or common-law married to the accused. A person who has a child with the accused. It does not matter whether the two parties were ever married or have ever lived together. A person who has or has had past dating relationships with the accused person. Current or former household members. By household members, Alabama law means people who were involved in a romantic or sexual relationship. A relative of a current or former household member who lived with the defendant as is explained in paragraph five above. Any parent, stepparent, child or stepchild who is or has maintained a living arrangement with the accused person. Alabama's Domestic Violence Statute may be found at Section 13A – 6 – 139.1 (3) Code of Alabama. WHAT ARE THE DEGREES OF DOMESTIC VIOLENCE CRIMES IN ALABAMA? There are three degrees of domestic violence crimes in Alabama: first, second and third degree. The least serious of these is Domestic Violence Third Degree. These cases are prosecuted either in Alabama's municipal courts or in Alabama's state courts. If your case is being prosecuted in a Municipal court, your maximum punishment is 180 days in jail and a fine not to exceed $500. If your case is being prosecuted in a District or Circuit court your maximum punishment is one year in jail and a fine of up to $6000. The most common types of Domestic Violence, Third-Degree charges include underlying offenses of: Assault Third-Degree; Menacing; Reckless Endangerment; Criminal Coercion; Harassment; Harassing Communications; Criminal Trespass in the third degree; Criminal Mischief, Second or Third-Degree; and Arson, Third-Degree. A second conviction for Domestic Violence in the Third-Degree requires a mandatory 10-day sentence and a third offense is a Class C felony with a minimum sentence of the year and one day in prison. The next highest level of domestic violence is Domestic Violence, Second Degree. This is classified under Code of Alabama § 13A-6-131 as a Class B felony. The minimum sentence is two years in prison; the maximum 20 years in prison. The maximum fine is $30,000. The following crimes, when committed in a domestic relationship, are crimes of Domestic Violence, Second Degree: Assault in the second degree; Stalking; Burglary in the second or third degrees; and Criminal mischief in the first degree. Domestic violence by way of strangulation or suffocation; if the domestic violence case involved any incident in which pressure was put on the neck, a person was made to breathe toxic fumes, or his or her airways were blocked, the prosecution can pursue charges of domestic violence by strangulation or suffocation. The most serious of the domestic violence crimes is Domestic Violence, First-Degree as classified by the Code of Alabama, at section 13A-6-130. These crimes are class A felonies. The minimum punishment is 10 years in the penitentiary and the maximum punishment is 99 years to life in prison. The maximum fine is $60,000. Domestic Violence, First-Degree includes charges of: Assault in the first degree; and Aggravated stalking.